Israeli Defence Minister Avigdor Lieberman announced his resignation on Wednesday in protest at a Gaza ceasefire that he called a "capitulation to terror", weakening Prime Minister Benjamin Netanyahu's conservative coalition government. 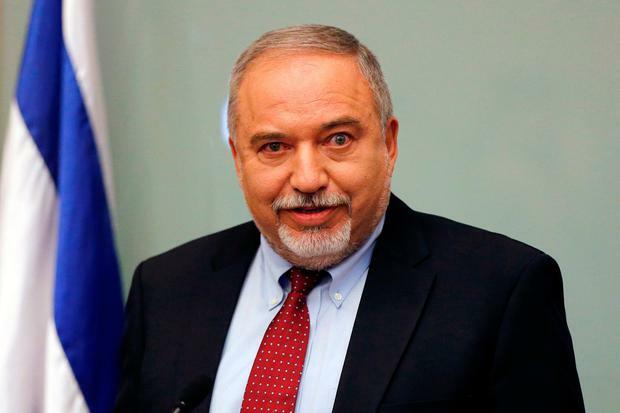 "Were I to stay in office, I would not be able to look southern residents in the eye," Lieberman said, referring to Israelis subjected to a surge in Palestinian rocket attacks before Tuesday's truce took hold. That would leave Netanyahu with control of just 61 of the 120 seats in parliament a year before Israel's next election. Israeli political commentators had speculated that Netanyahu, who despite his approval ratings has been dogged by multiple corruption investigations, might bring forward the ballot. But a spokesman for his rightist Likud party played down that option, saying Netanyahu would assume the defence post. "There is no need to go to an election during what is a sensitive period for national security. This government can see out its days," the spokesman, Jonatan Urich, said on Twitter. Lieberman has spoken in favour of harsh Israeli military action against Gaza's dominant Hamas Islamists, even as the government authorised a Qatari cash infusion to the impoverished enclave last week and limited itself to air strikes rather than a wider campaigns during this week's fighting. Born in the former Soviet Union, Lieberman's voter base is made up of fellow Russian-speaking immigrants, and rightists and secularists who share his hostility to Israel's Arab minority and the religious authority wielded by ultra-Orthodox Jewish parties. The former foreign minister, received the defence portfolio in May 2016.